Prof. Barth Nnaji, Chairman, Southeast Region Economic Development Company (SEREDEC), says the 2018 regional economic summit targets infrastructure development for growth and development of the region. 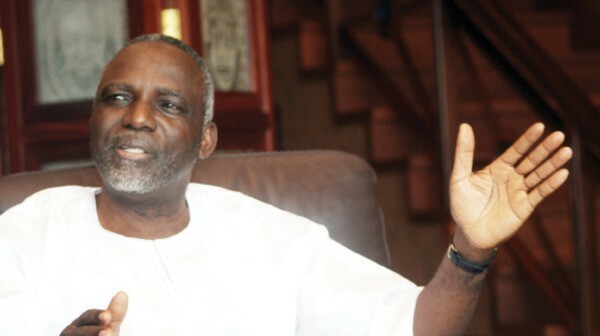 Nnaji made the disclosure in Abuja on Wednesday. He said that the summit which would be held in Enugu from Dec. 11 to Dec. 12 was private sector driven with collaboration from Southeast Governors Forum. He said that focus would be on infrastructure development, such as rail lines to connect the entire region, gas pipeline, and health services. ” The Private sector setup by the southeast will work on the projects with the support of the state governments. This is a good model for development of a nation. Nnaji said the summit would also look at issues bordering on ease of doing business. He said the Director General of the United Arab Emirate Investment summit would be one of the guest speakers alongside manufacturers, industrialists and other stakeholders. Nnaji a former Minister of Power, said that funding of the projects would come from private investors with credible bankable plans. He said the summit would be co-funded by DFID. In her comment , Mrs Regina Amadi, Assistant Secretary of SEREDEC, said the company intended to use infrastructure as a tool for development at the local level and to create jobs. She said that the projects would adopt community development model to allow communities to have shares in the management and protection of projects under Public Private Partnership arrangement. Also, Prof. Onyi Nwagbara, SEREDEC Board Secretary said that the projects need state governments granting right of way for successful implementation. “Southeast has areas of comparative advantage. For agriculture. Ebonyi State is richly endowed; for manufacturing, Abia State, and health services, Enugu State.